The meeting of the Research Advisory Committee (RAC) was held on 11 and 12 March, 2019 at ICAR-Central Sheep and Wool Research Institute, Avikanagar under the Chairmanship of Dr Prabhakar Rao, Former Hon’ble Vice Chancellor, SVVU, Tirupati. Dr R.S. Sahota, Retired Director, Extension Education, GADVASU, Ludhiana, Dr Avtar Singh, Retired Principal Scientist, NDRI, Karnal, Dr Arun Kumar Tomar, Director, ICAR-CSWRI, Avikanagar and Dr A.K. Shinde, Principal Scientist and Member Secretary attended the meeting. All Heads of Divisions, In-charges and Principal Scientists of CSWRI participated in the meeting. RAC visited the Sheep, Goat and Rabbit Farms at main institute. Dr Arun Kumar Tomar, Director, ICAR-CSWRI welcomed Chairman and the Members of RAC. He also welcomed the Heads of Divisions, In-charges and Principal Scientists. Director, ICAR-CSWRI presented in brief the present status of sheep and rabbit research in the institute, achievements of the research programs and new initiatives taken by the institute during the last one year. The Chairman appreciated the efforts of institute in developing farmer’s friendly technologies and transferring to end users. The action taken report on recommendations made in the last RAC meeting 2018 was presented by Dr A.K. Shinde, Member Secretary, RAC. The achievements in different research projects were presented by the Head of Divisions/In-charges. 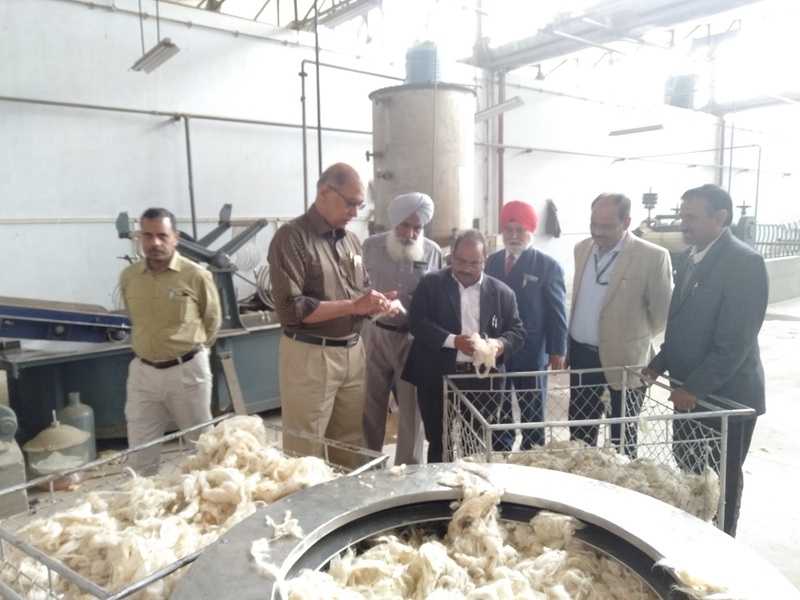 The Chairman, RAC inaugurated the First National Skill Development Training Programme on Scientific Sheep, Goat and Rabbit Rearing on 12 March 2019. Participants from different states are attending the programme to improve their skill in sheep, goat and rabbit husbandry. Institute provides elite rams of Marwari, Magra Chokla, Malpura, Avikalin and Bharat Merino, elite bucks of Sirohi and broiler and Angora rabbit on book values to farmers, NGOs and development agencies etc. Institute disseminates the technology developed on sheep and rabbit production and utilization and improves knowledge and skill through training, consultancy, contract research, contract service, incentive and reward so that knowledge and skills developed are fruitfully utilized. Institute sold impregnated sponges and area specific mineral mixture, cenchrus grass seed and sheep manure etc. Artificial insemination, vaccination, drenching and other inputs are regularly extended to farmers as a part of technology transfer programme.